January 19, 2018 By Morgan M Woods 1 Comment This post may contain affiliate links. 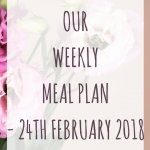 This weeks meal plan consists of quick and easy comfort food (a bit like last weeks meal plan). I’ll be utilising my slow cooker and batch cooking where possible again to make life that little bit easier. 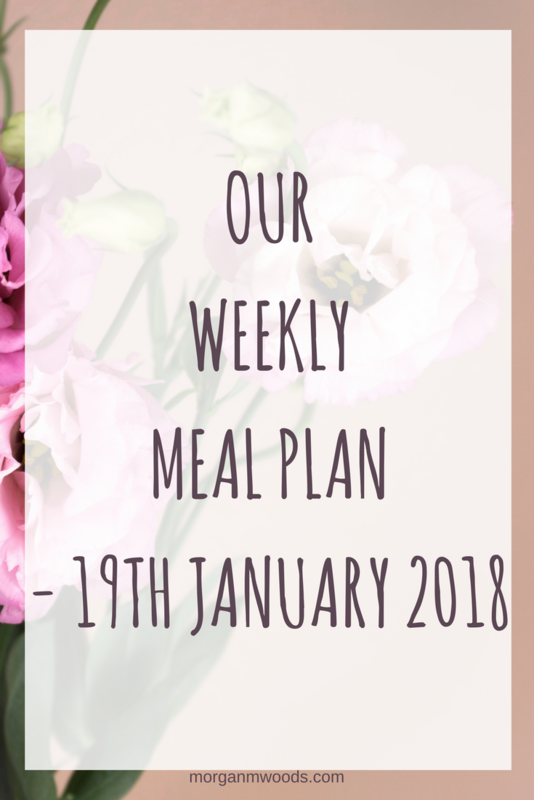 Our no spend month is going kind of okay, we did slip off the wagon a little last week but we got straight back on! I have spent around £15 on groceries this week mostly things like milk, bread, fruit and veg which I would never cut out completely anyway. I picked a lot of these items up when they were reduced with yellow stickers. The products are usually fine after their best before dates although use by dates are completely different. Monday – Veggie Curry, I’m not sure what veg yet but I will use up what needs eating and throw it all in the slow cooker for a few hours. 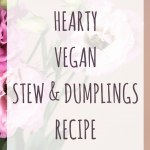 Tuesday – Homemade Vegan Pasty’s, I’m hoping to use my slow cooker to make enough of the filling to also make a cottage pie later in the week. I will be using frozen vegan mince for this, as well as frozen swede (yellow sticker item), onions, carrots and peas. Wednesday – Vegan Spaghetti Bolognaise, using the rest of the bolognaise mixture from last weeks lasagne. 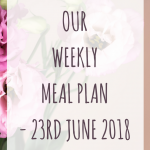 Thursday – Vegan Cottage Pie, using (hopefully) the rest of the pasty filling. Friday – Leftovers/freezer food, Anything that we have that needs eating up from the fridge or freezer. 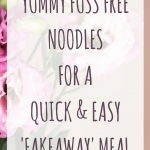 Saturday – Veggie noodles, I tend to just throw loads of veg in, some garlic and ginger with a handful of peanuts and some noodles with a bit of hoisin sauce. Sunday – Sausages and Mash, vegan sausages for me regular sausages for the rest of the family. 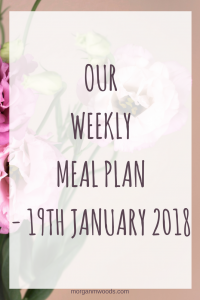 I already have most of the ingredients needed to make all these meals from this meal plan so it should be another cheap week grocery wise.